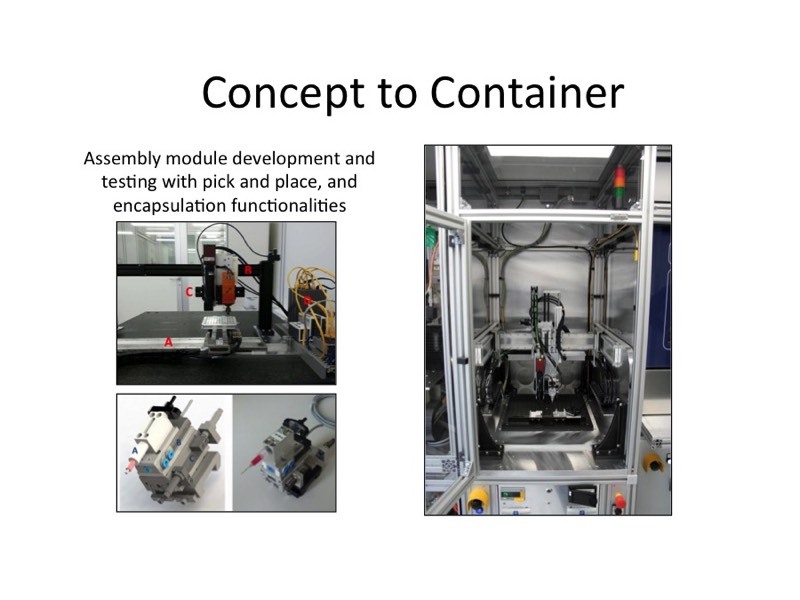 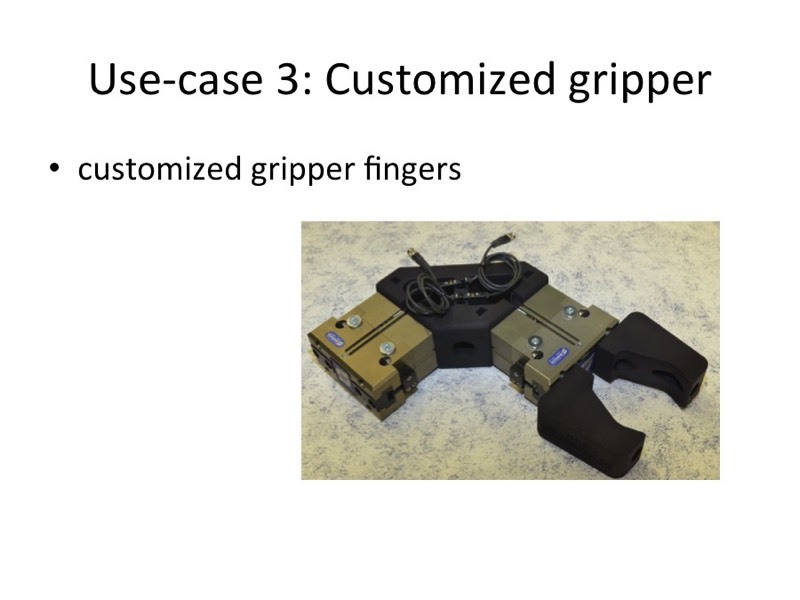 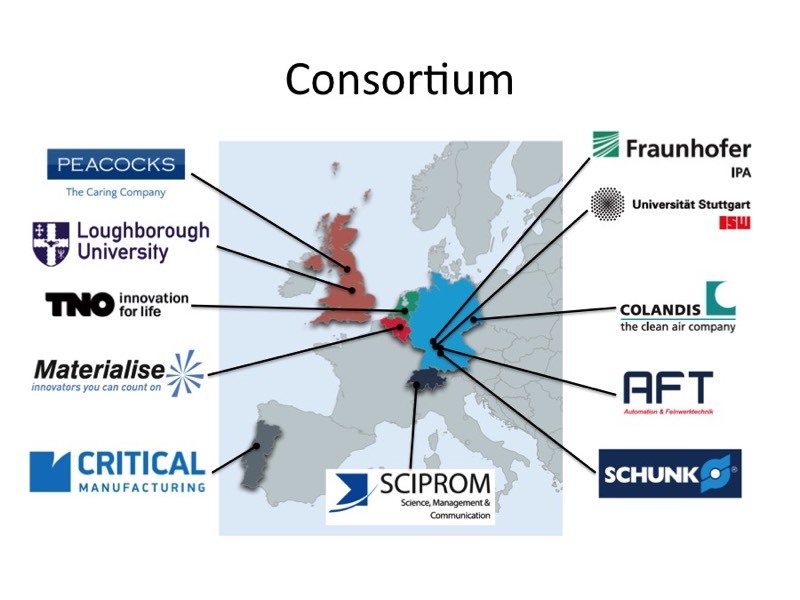 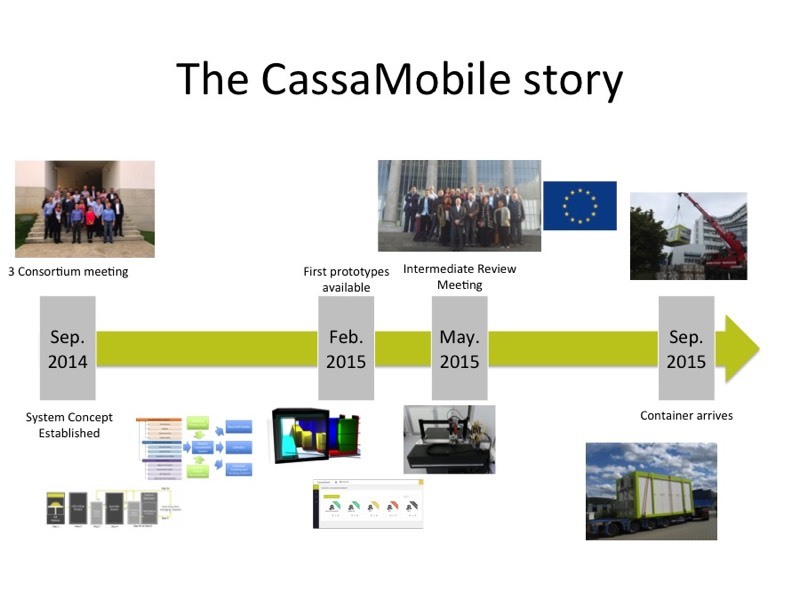 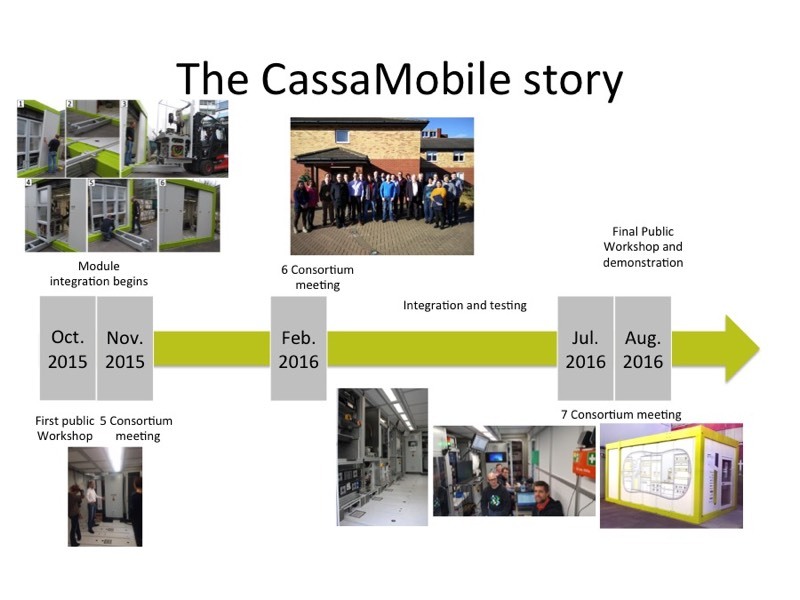 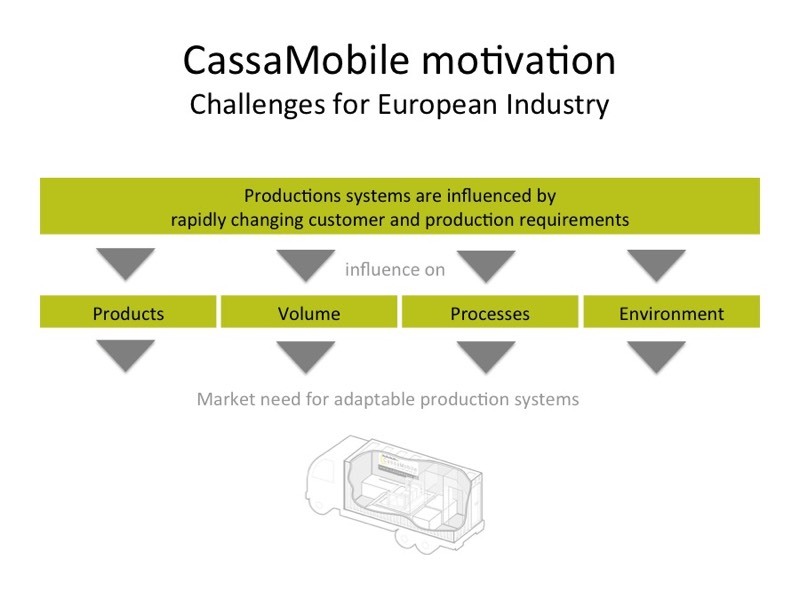 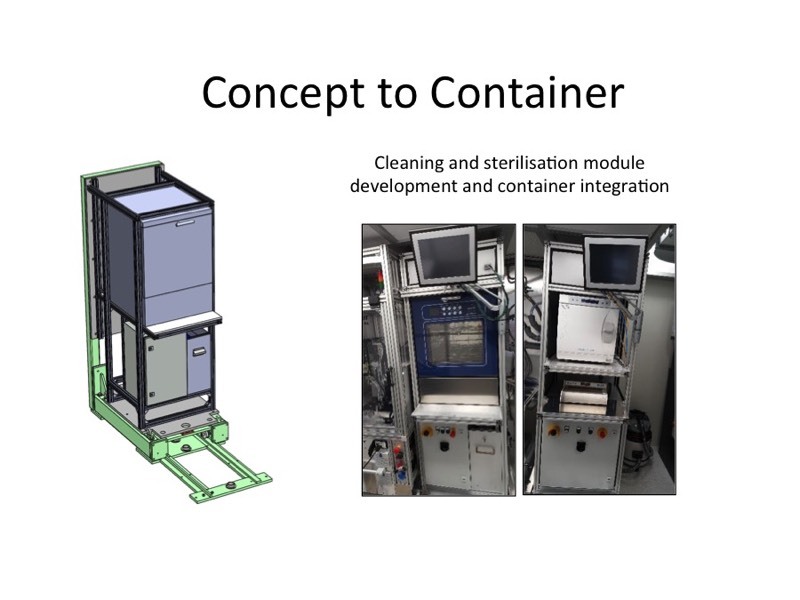 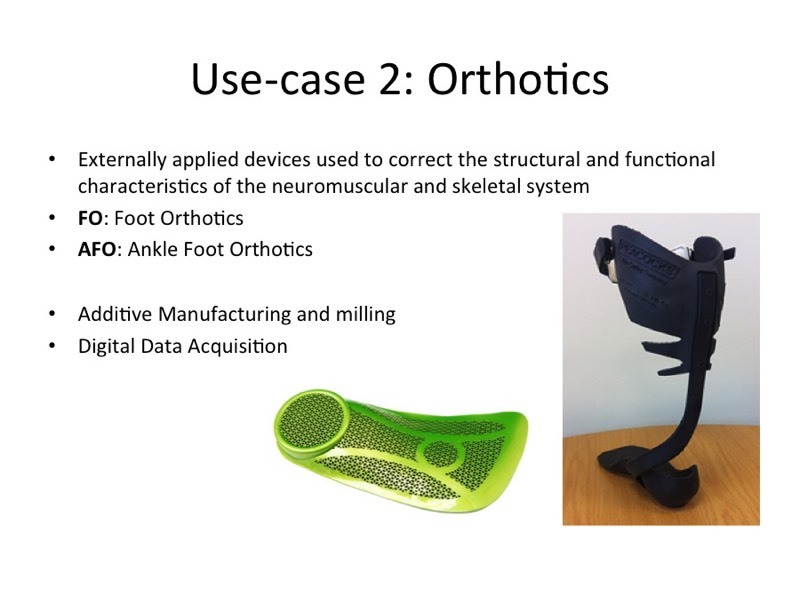 The FP7 project CassaMobile successfully provided a prototype mini-factory for local, flexible and environmentally friendly production of highly customised parts. 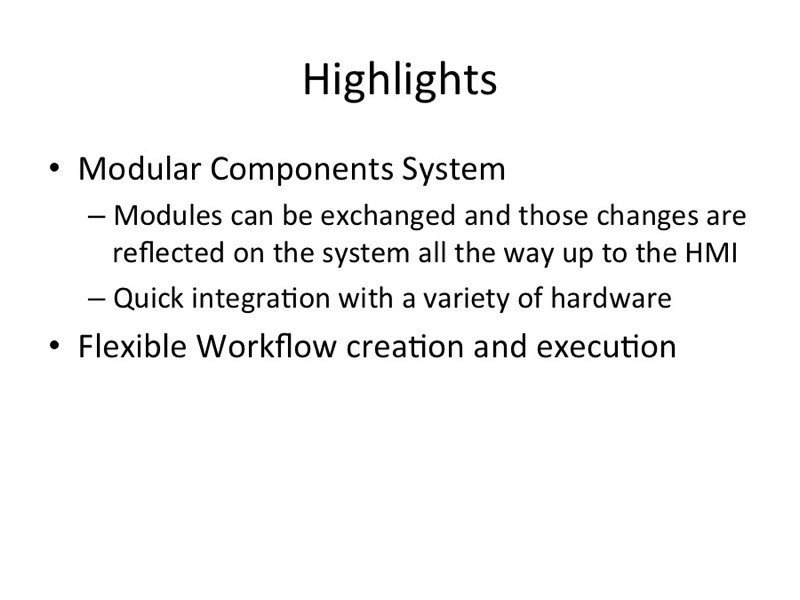 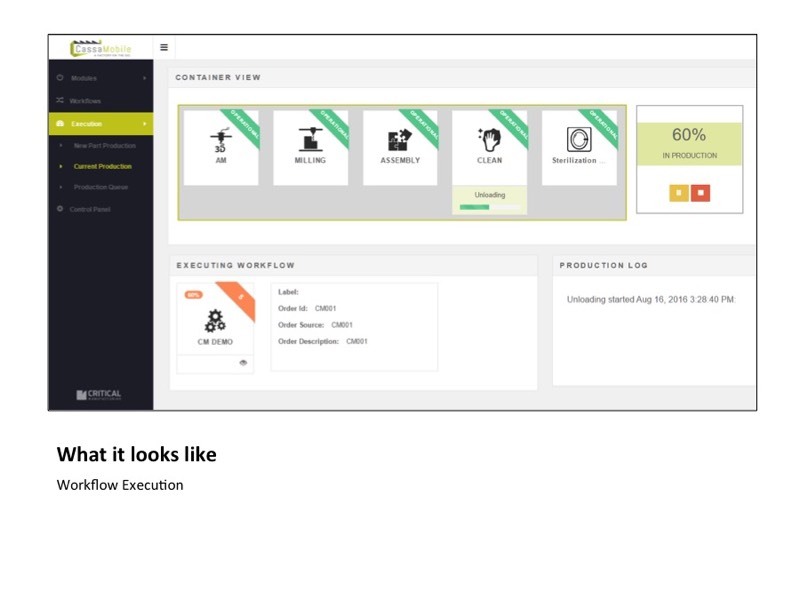 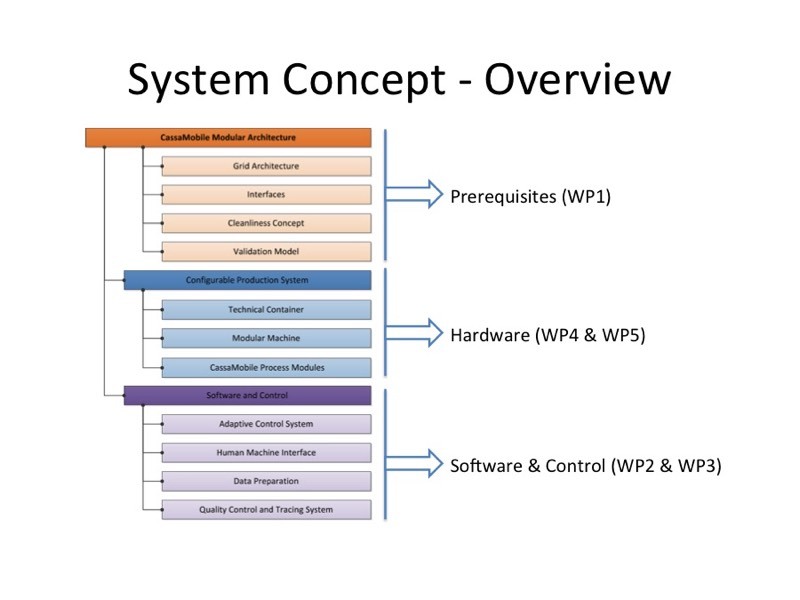 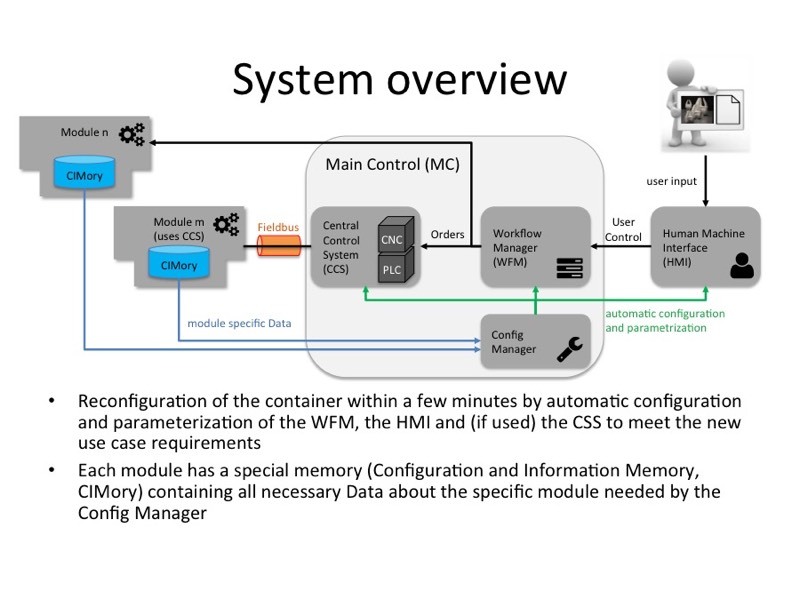 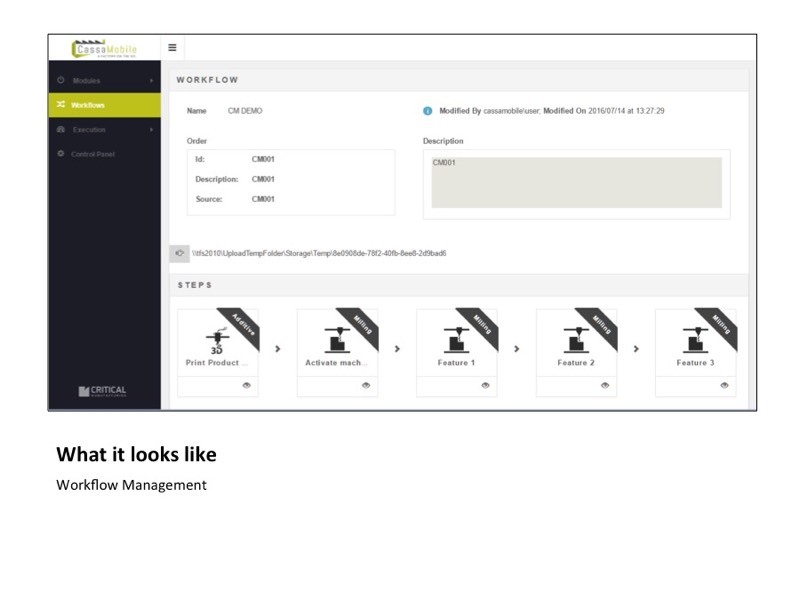 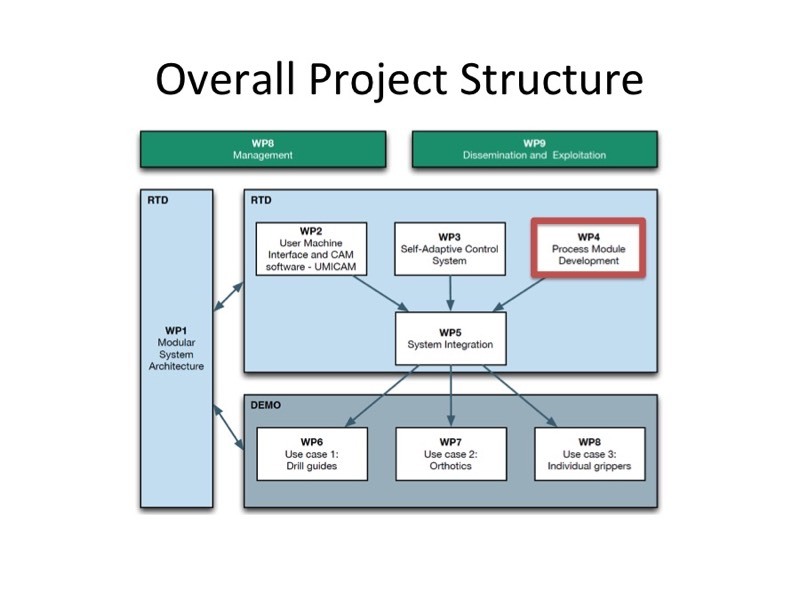 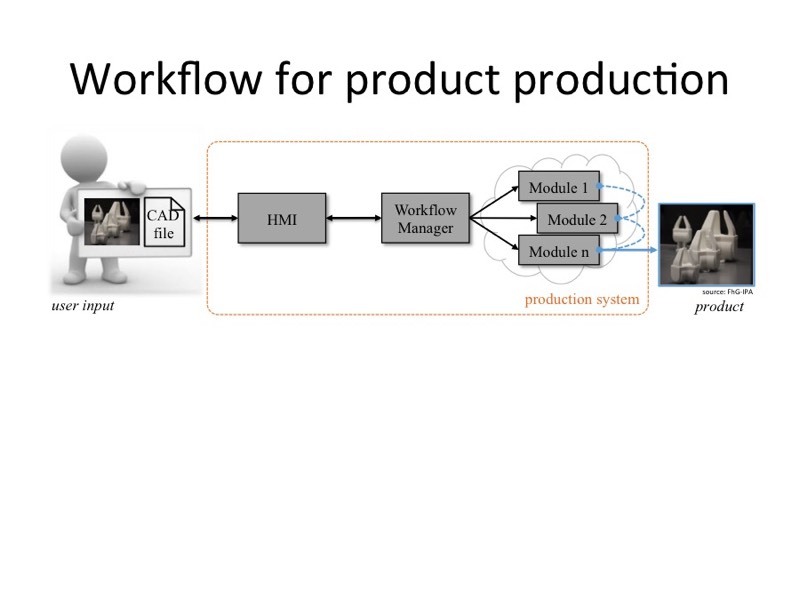 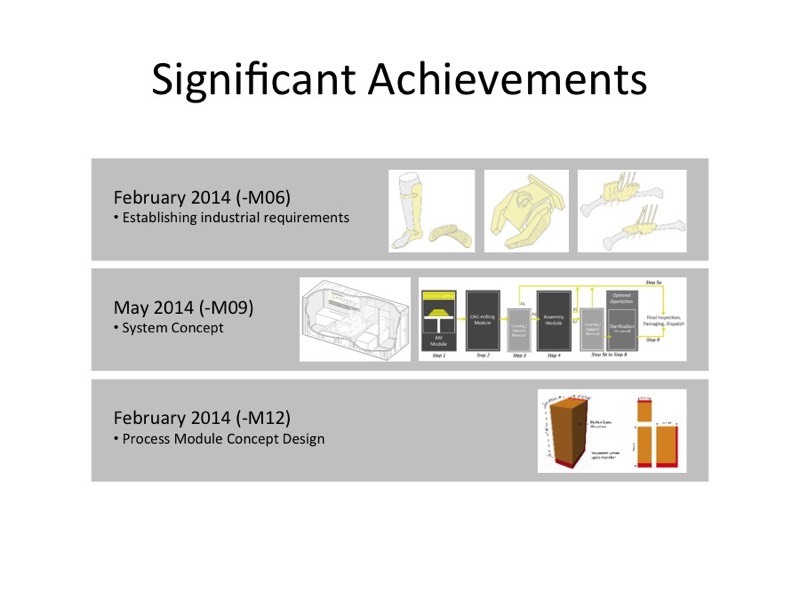 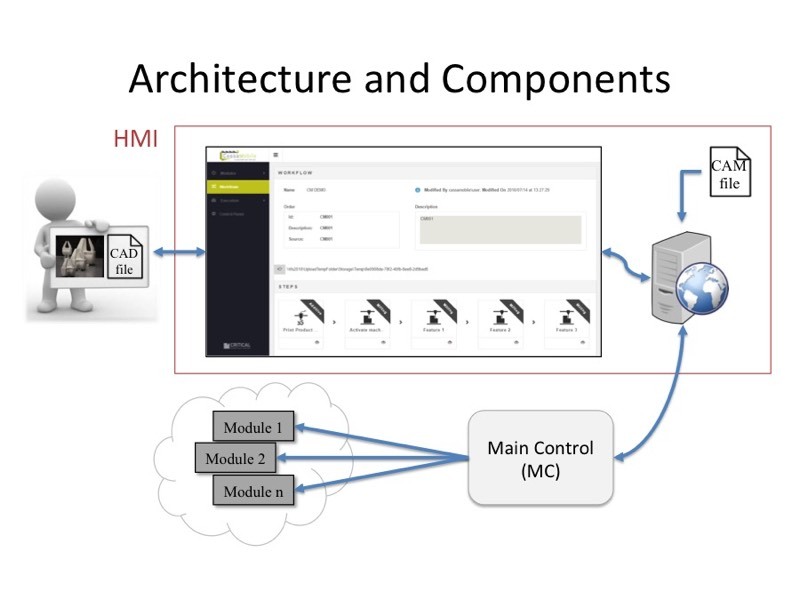 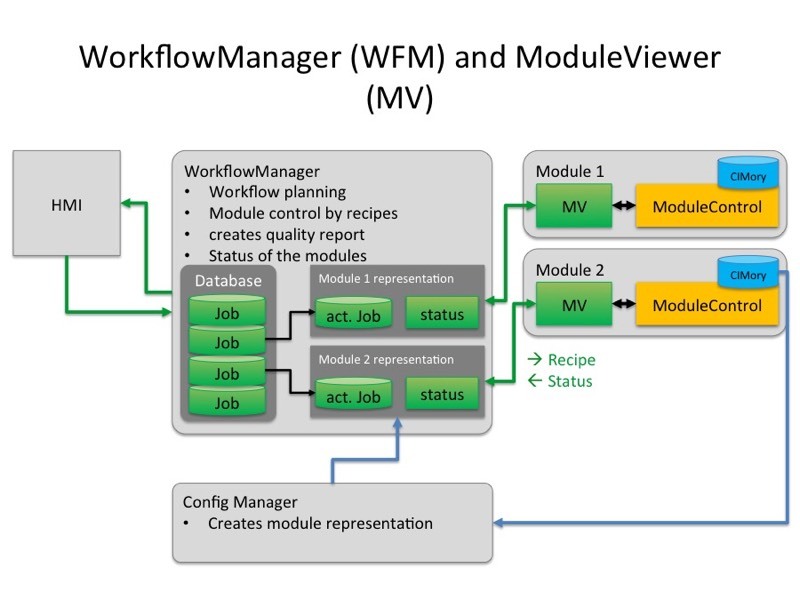 The production system is based on a truly modular architecture, allowing rapid adaptation to new requirements. 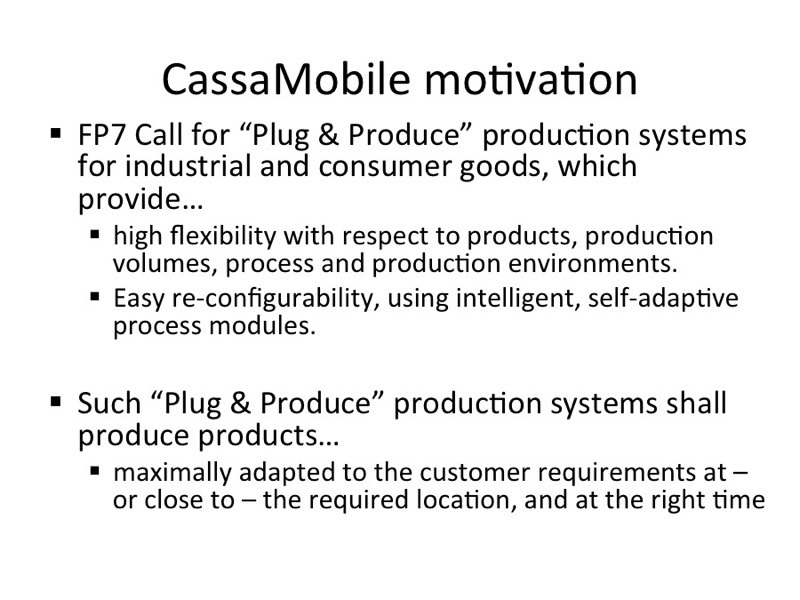 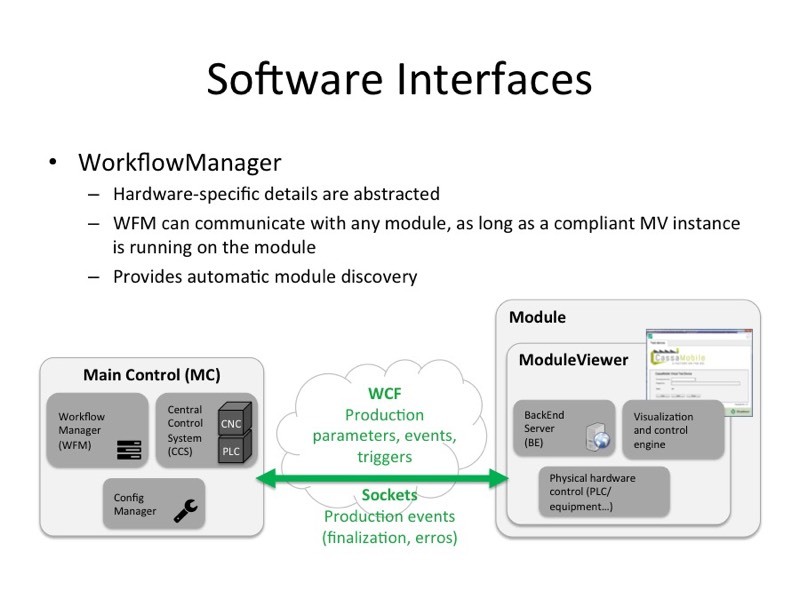 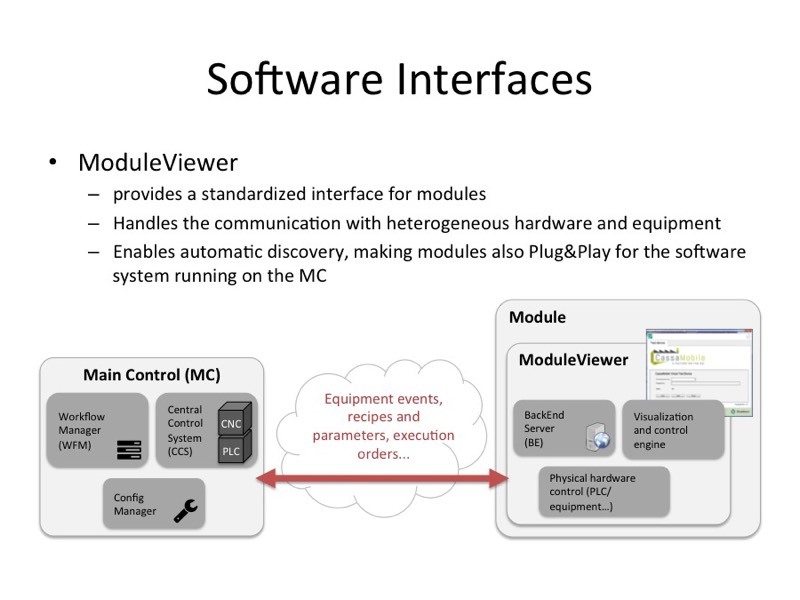 This ‘plug & produce’ architecture includes mechanical and control system adaptation. 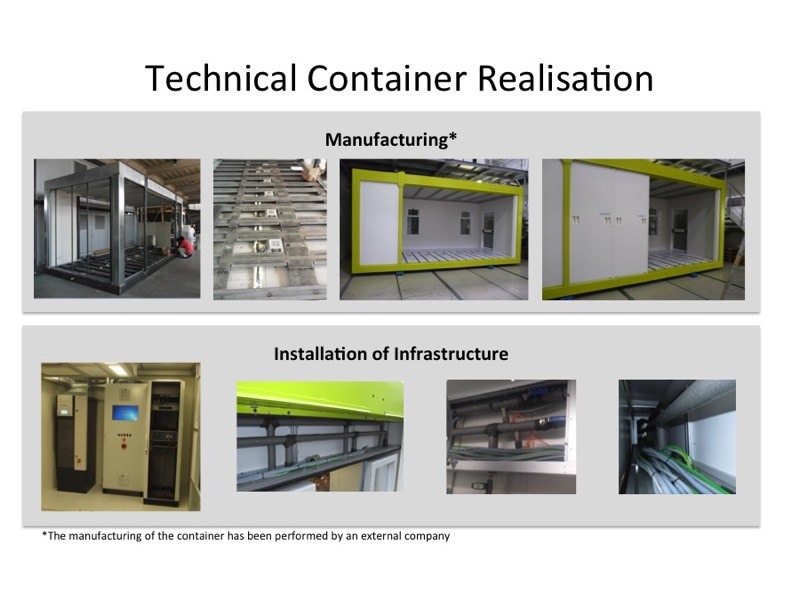 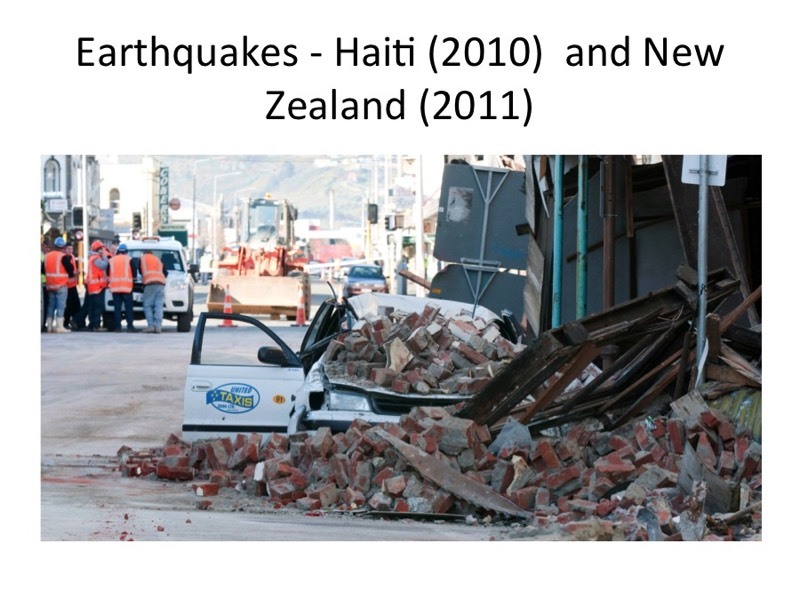 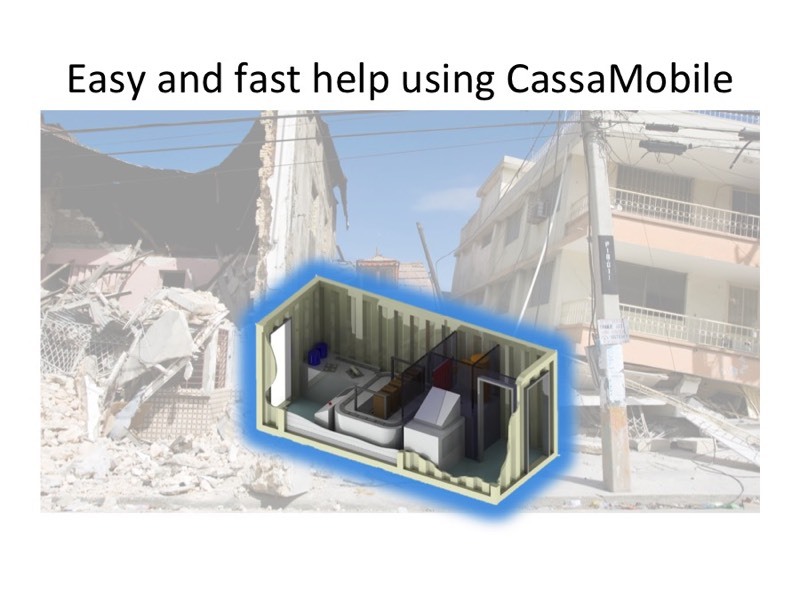 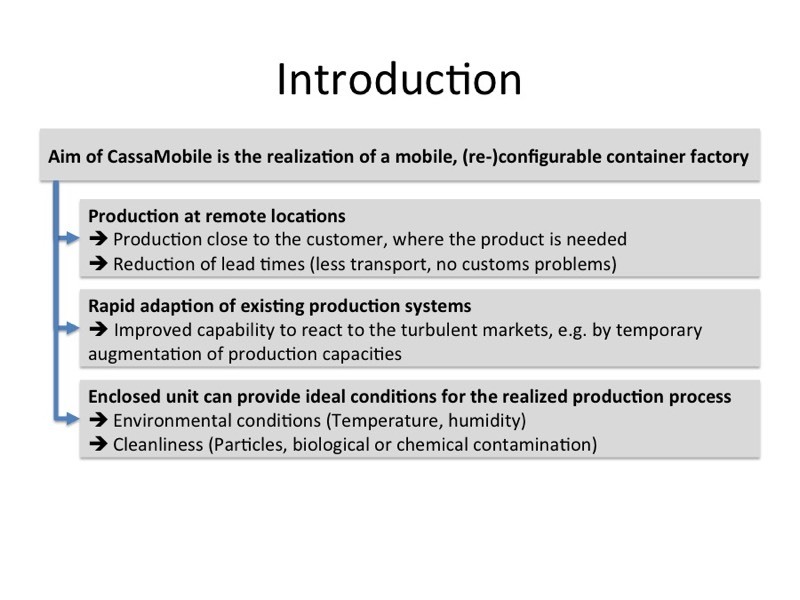 The footprint of the CassaMobile production container is minimised to enable transportation to and deployment in areas with severely limited space, whilst minimising investment and infrastructure costs. 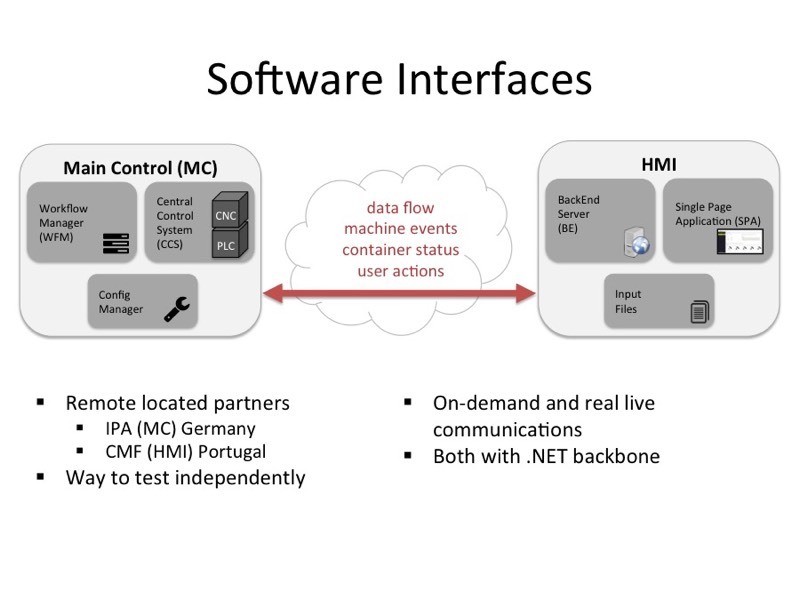 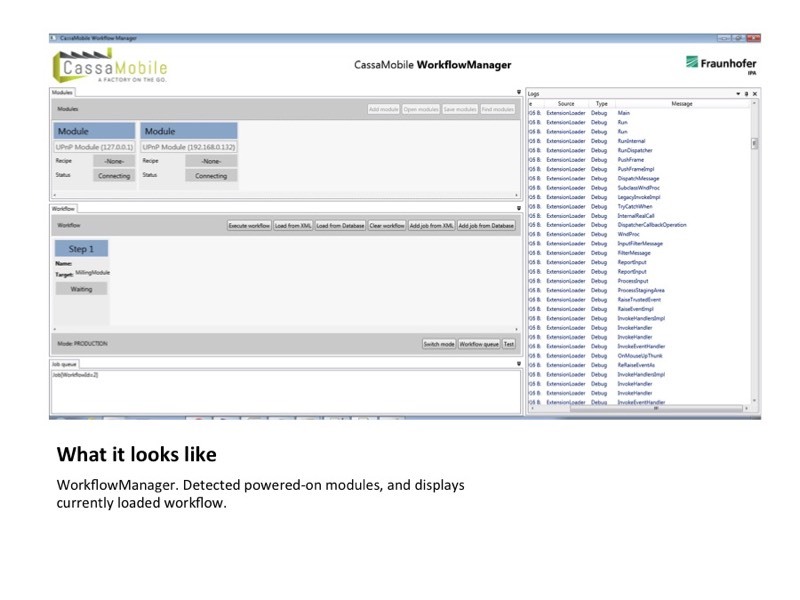 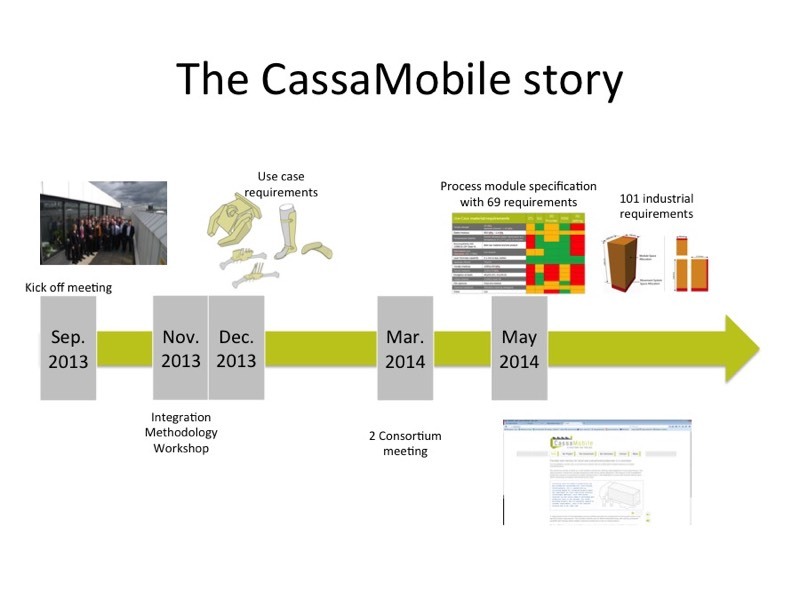 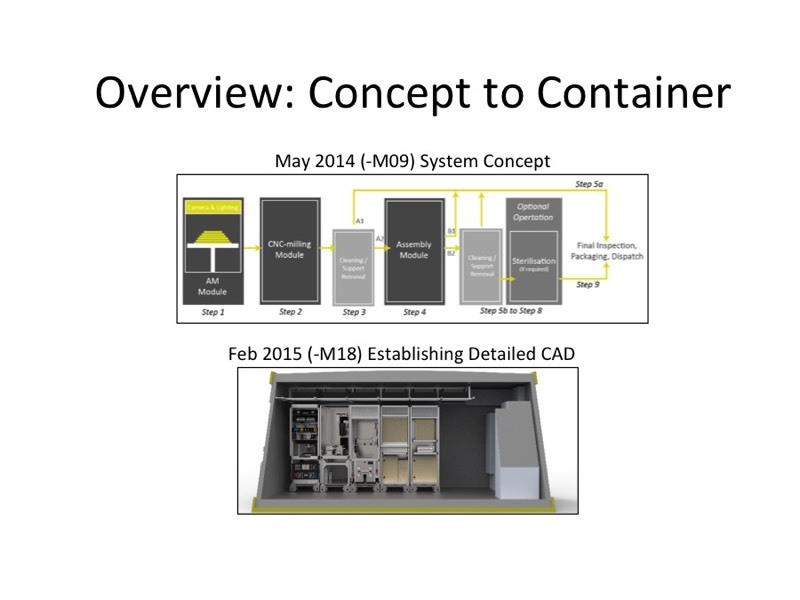 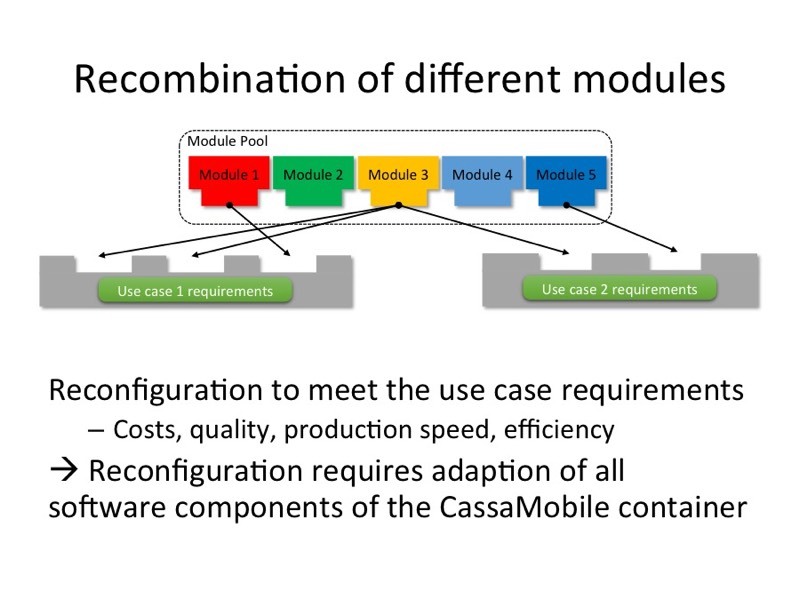 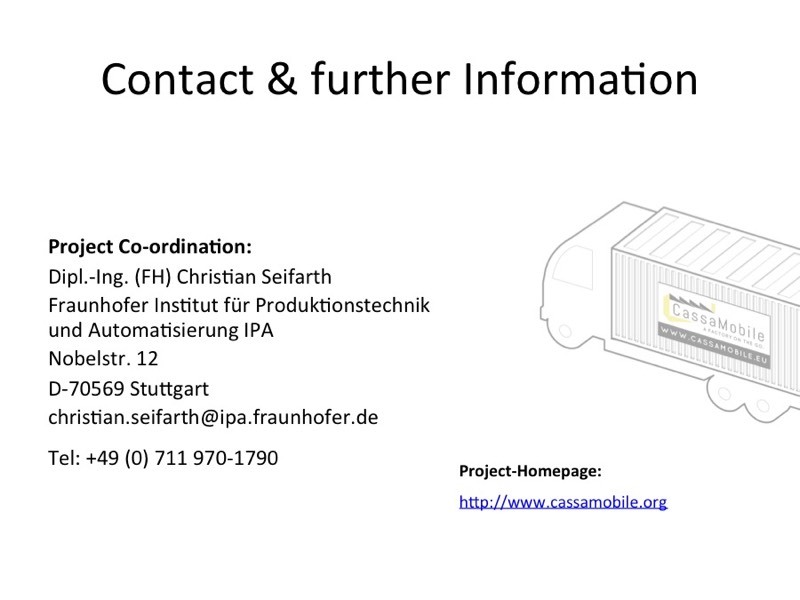 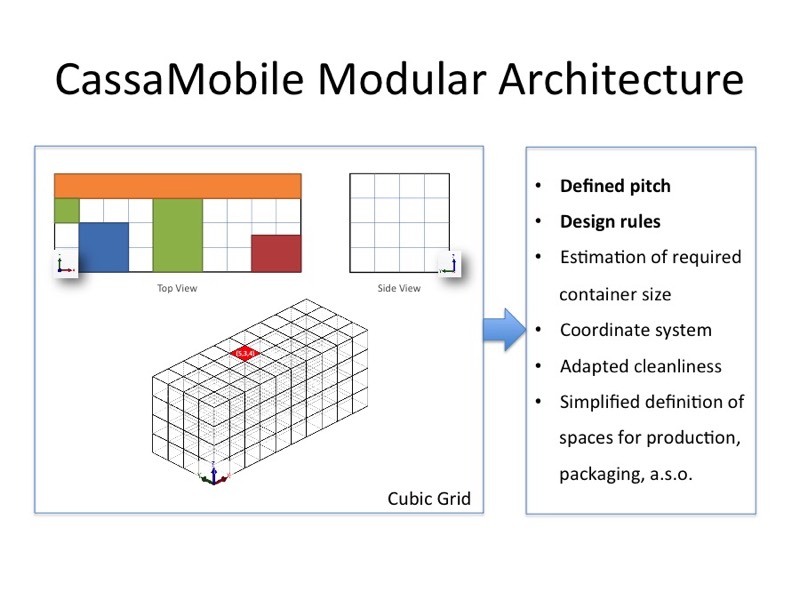 This video summarises the outcomes of CassaMobile and includes a live demonstration of all modules working within the actual container. 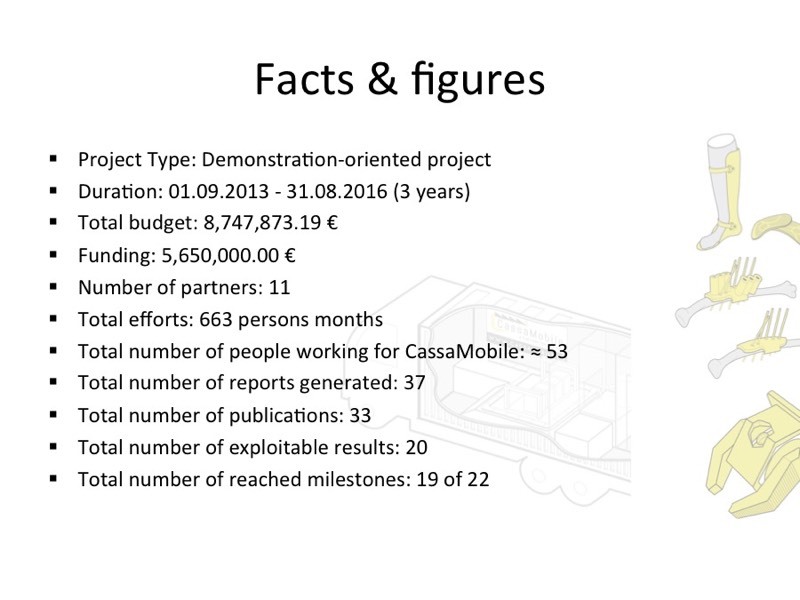 The CassaMobile project issued this press release at the end of the project. 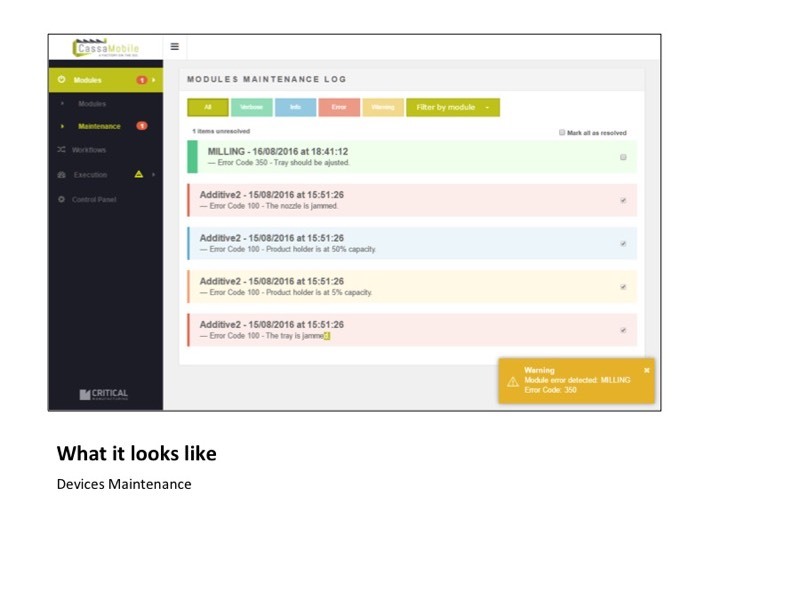 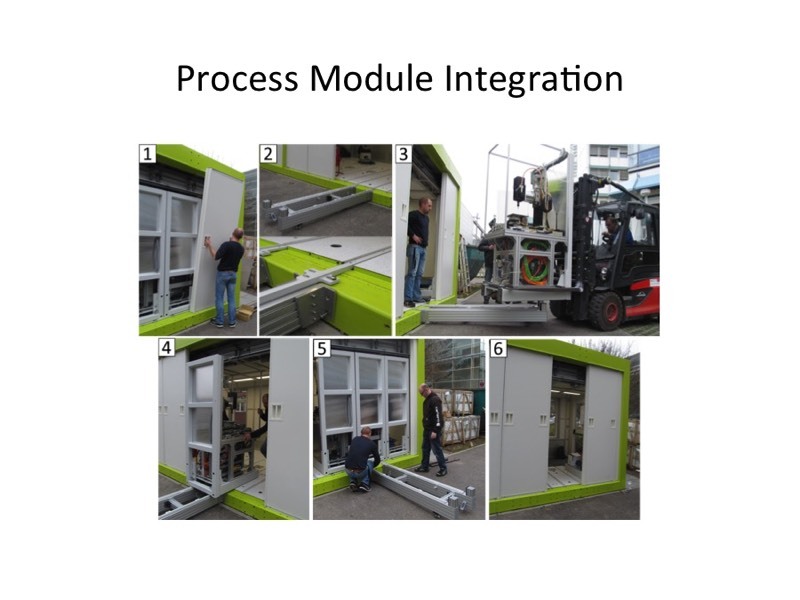 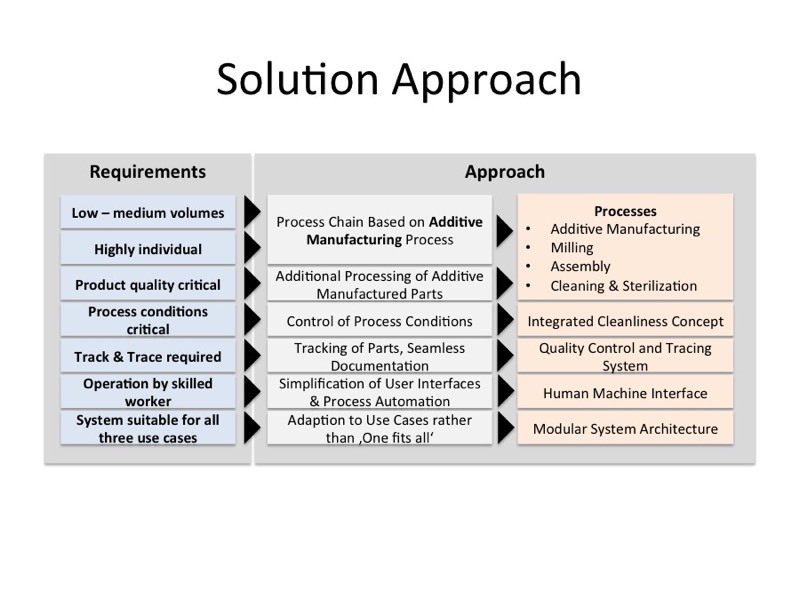 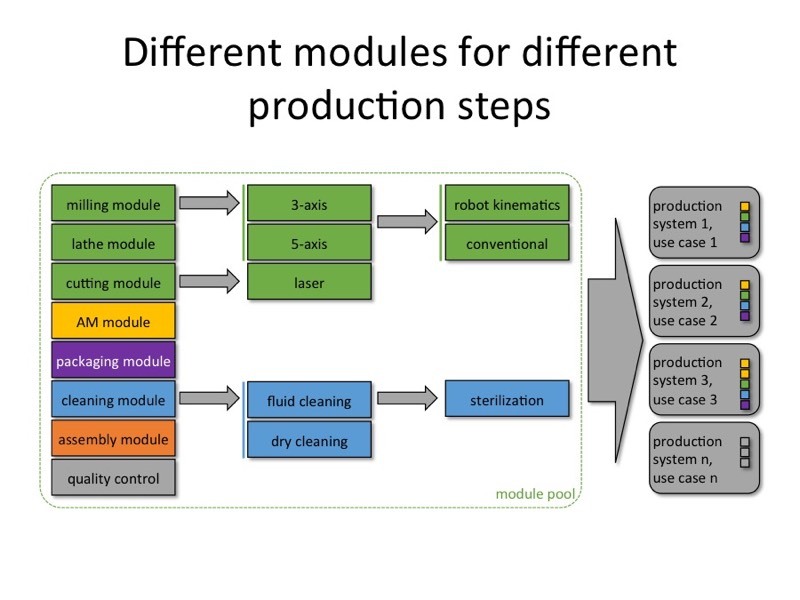 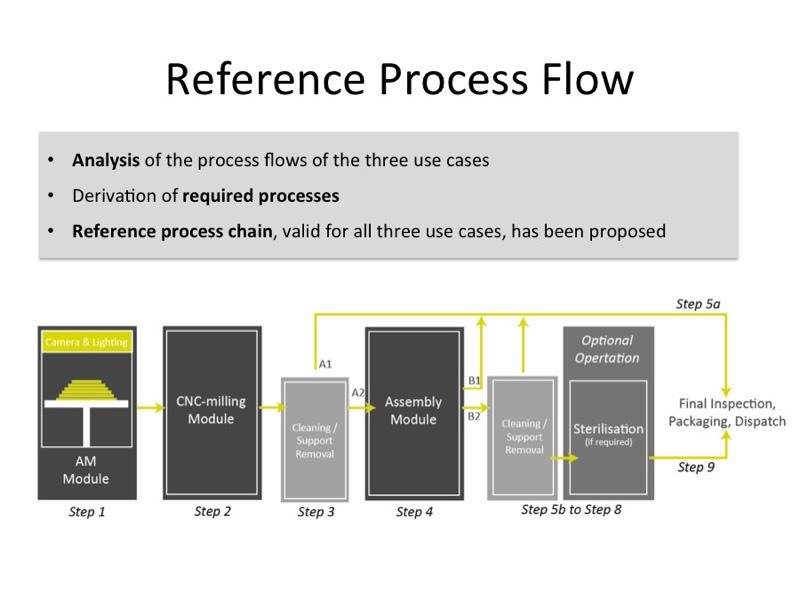 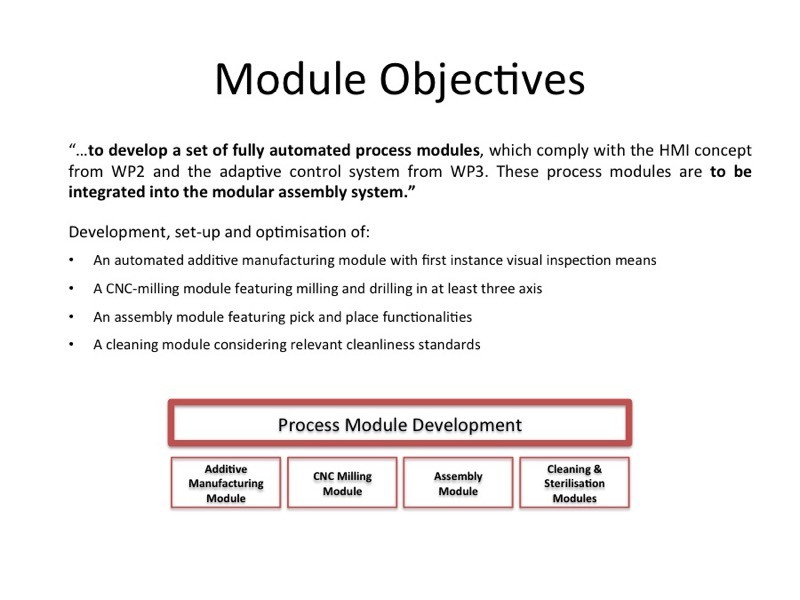 A comprehensive pool of interchangeable process modules provides free configuration of the process chain to suit specific product requirements. 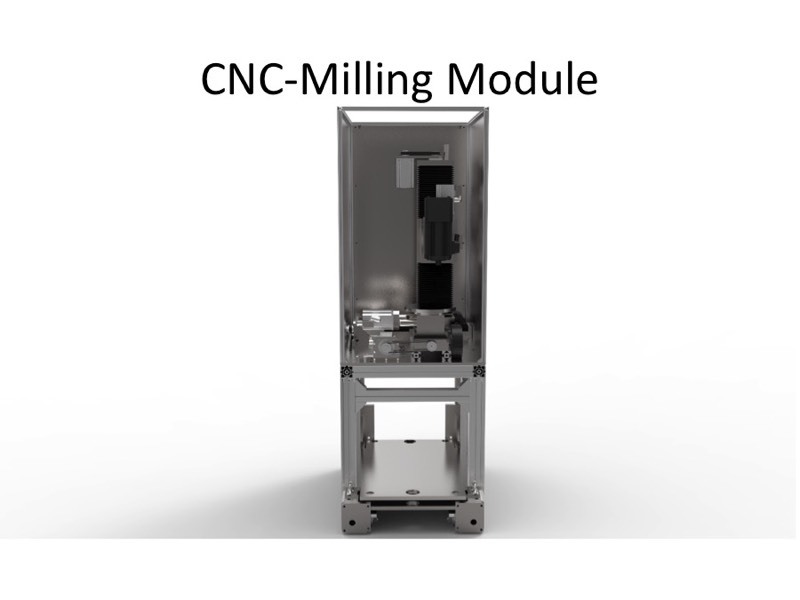 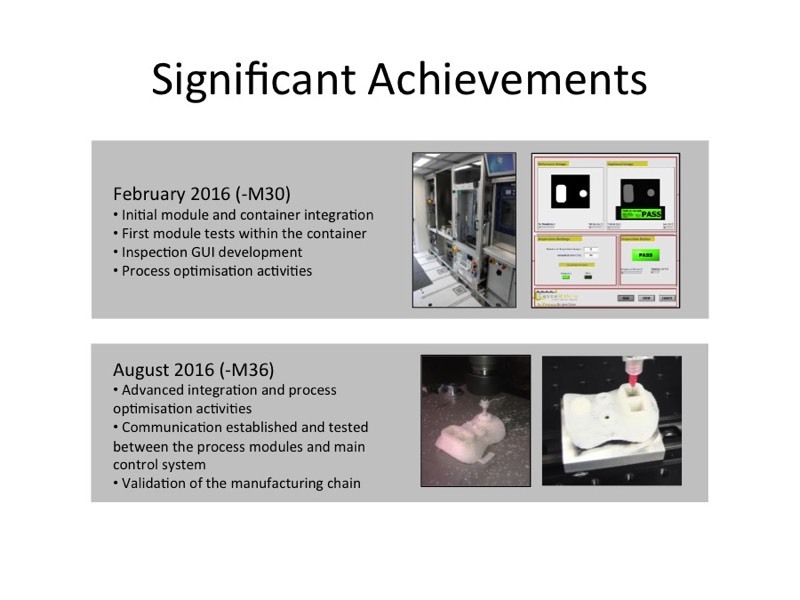 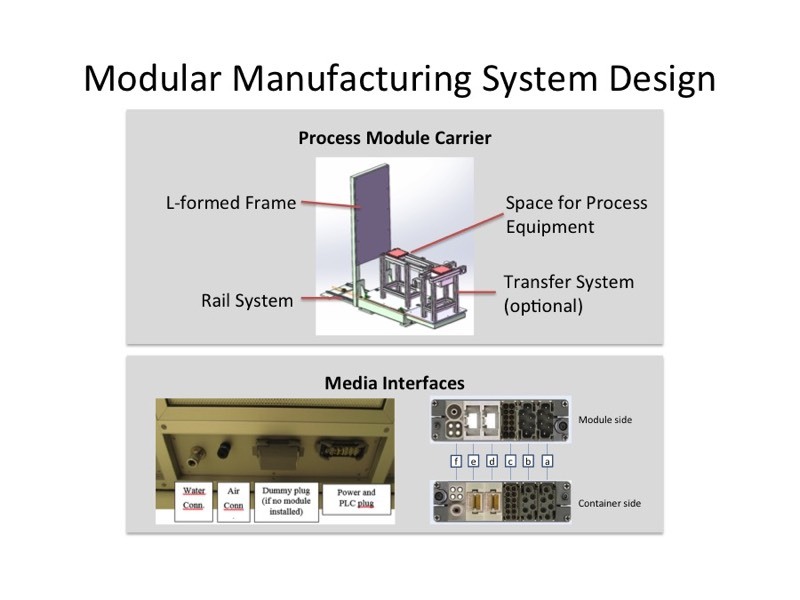 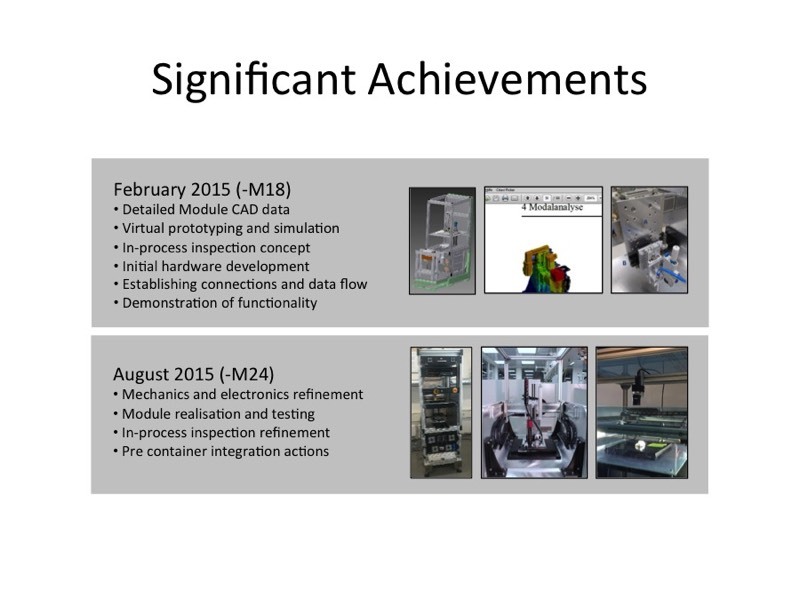 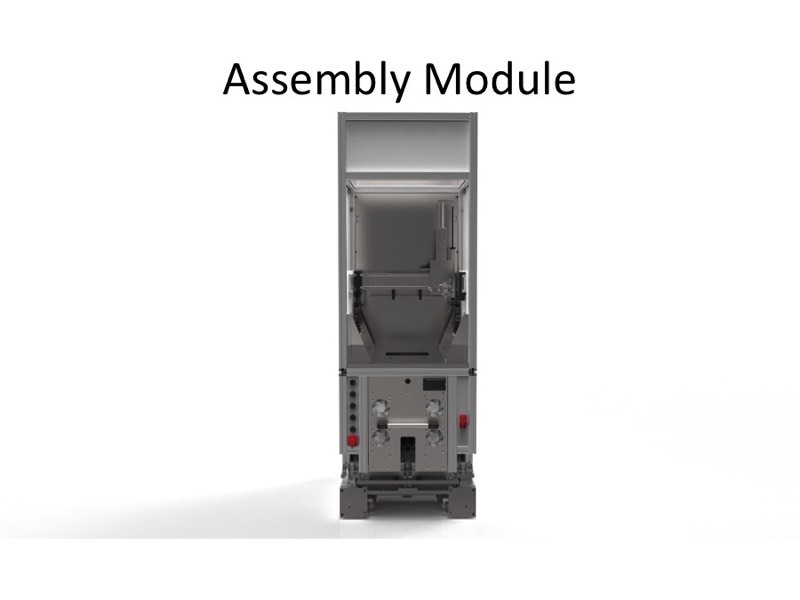 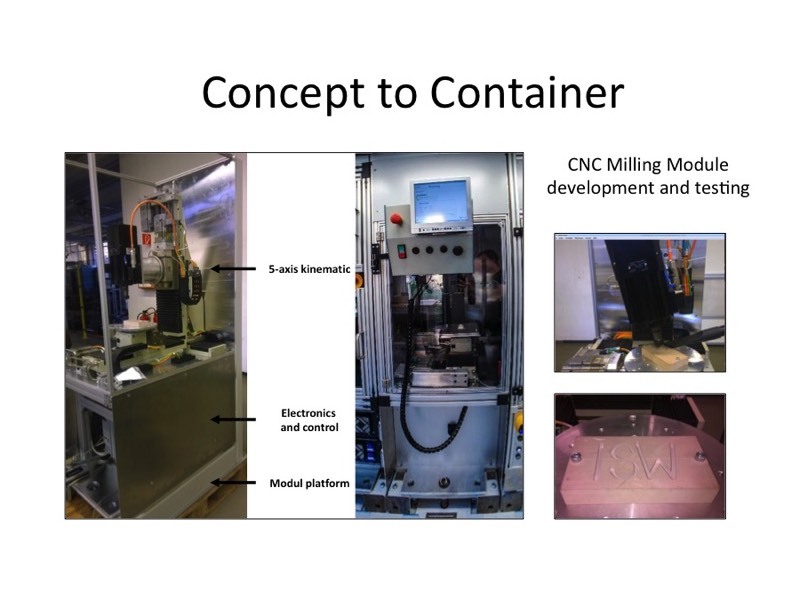 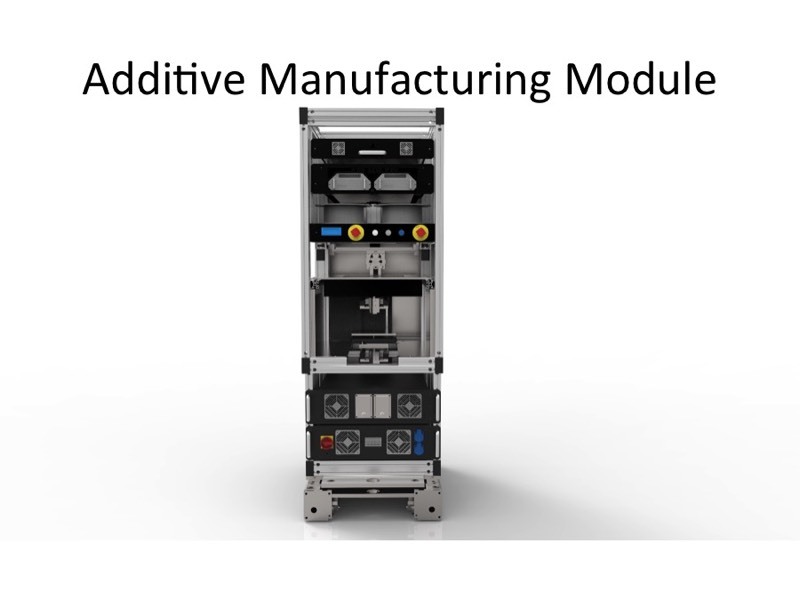 This includes modules such as Additive Manufacturing, CNC-milling, automated assembly and cleaning which enables continuous production of one-of-a-kind products. 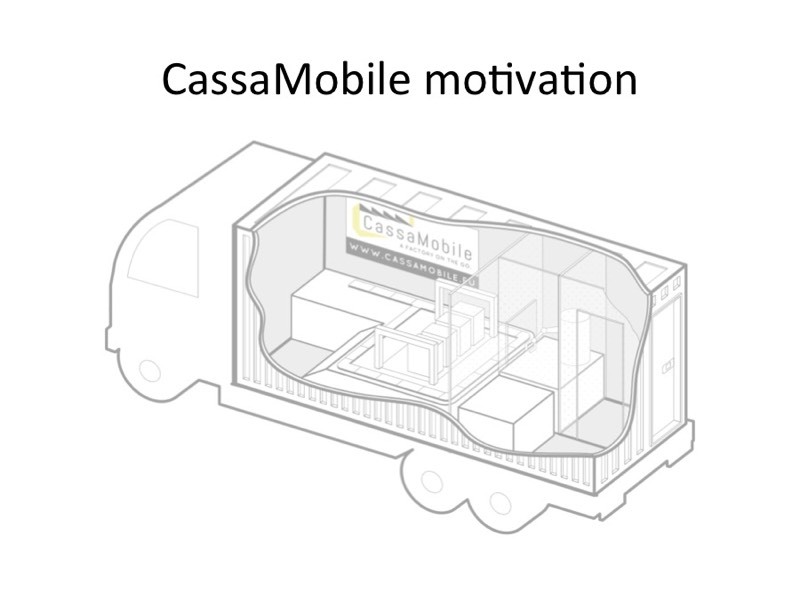 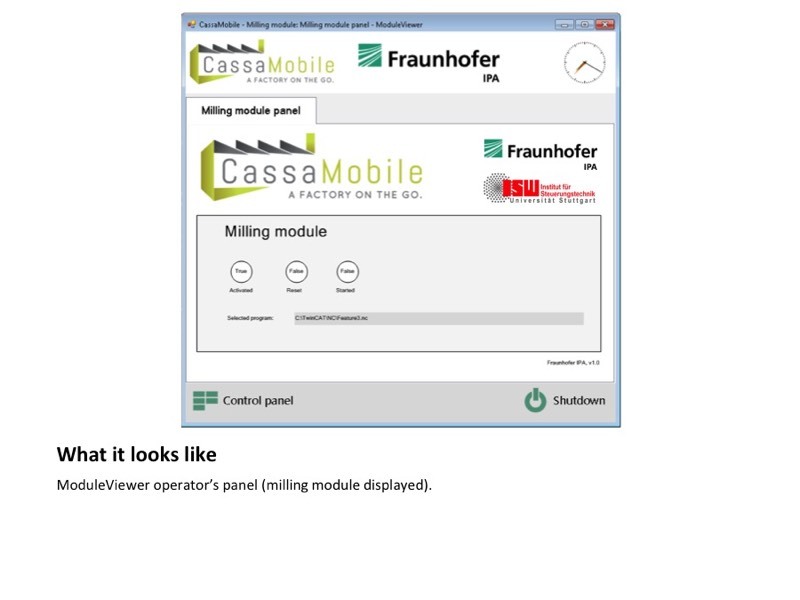 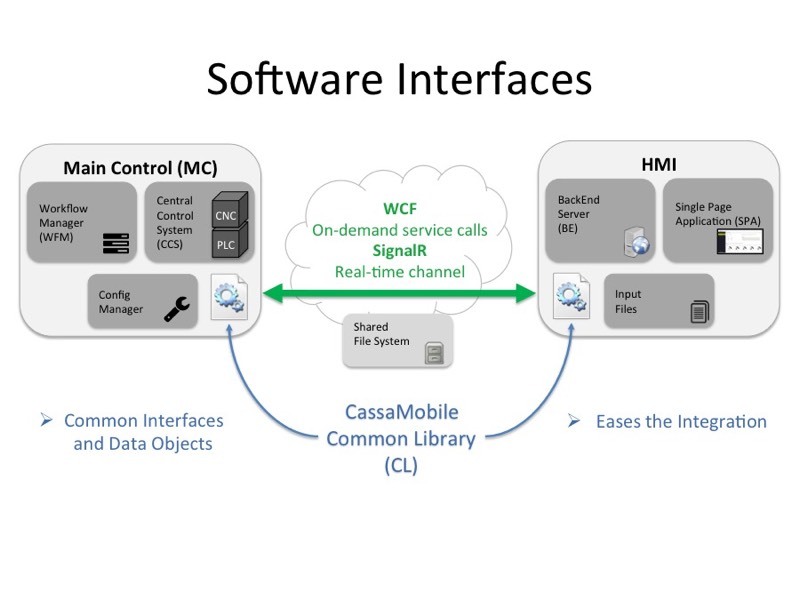 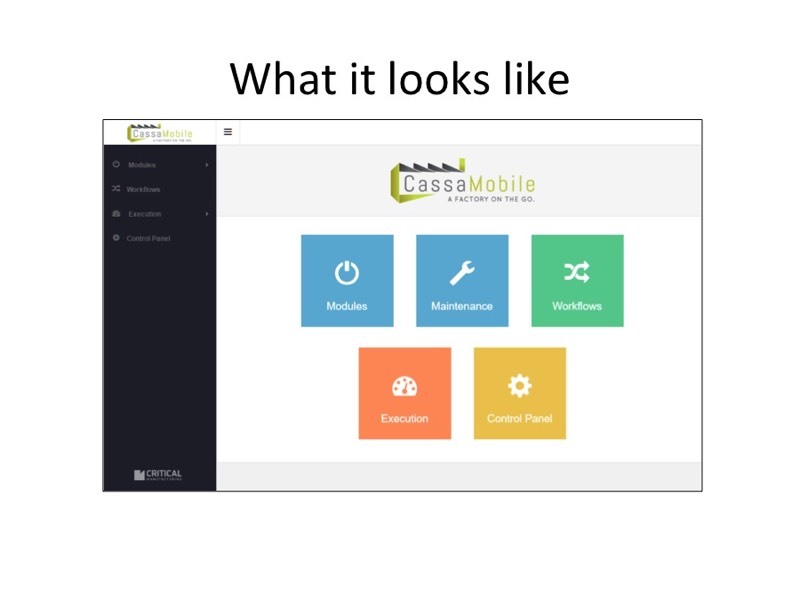 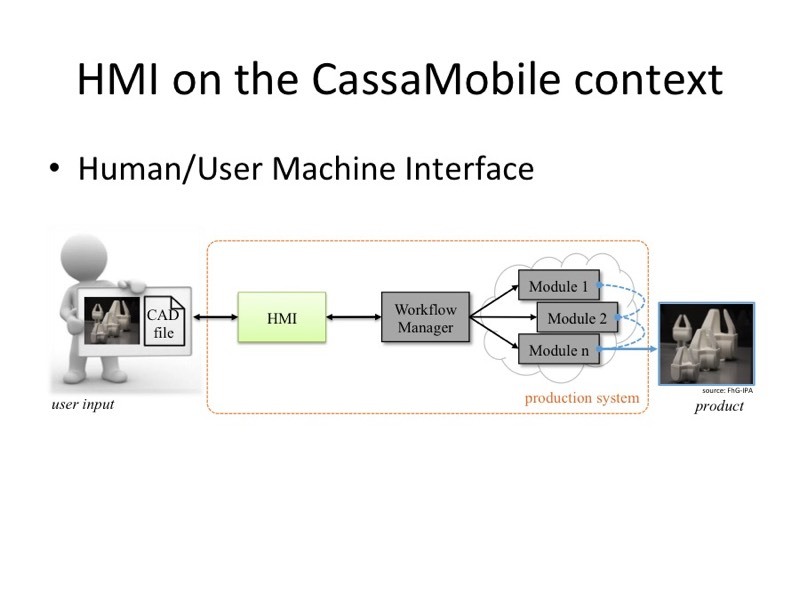 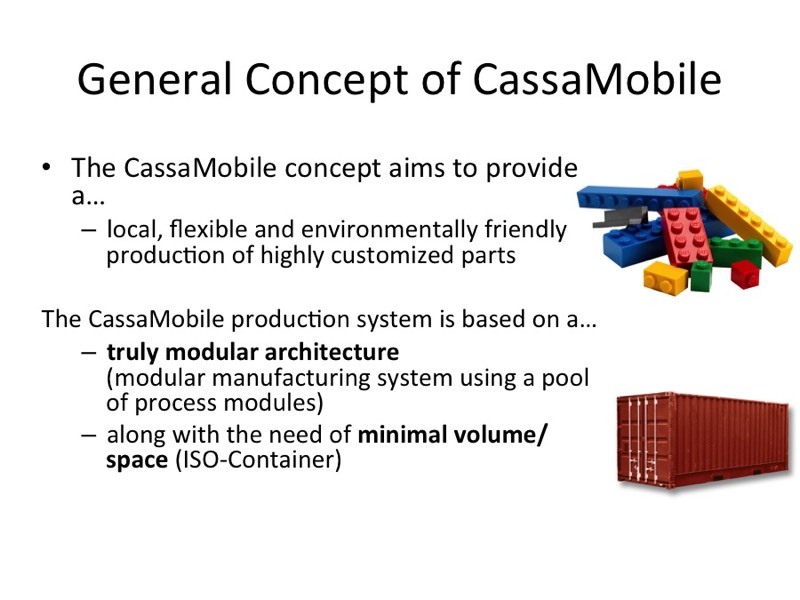 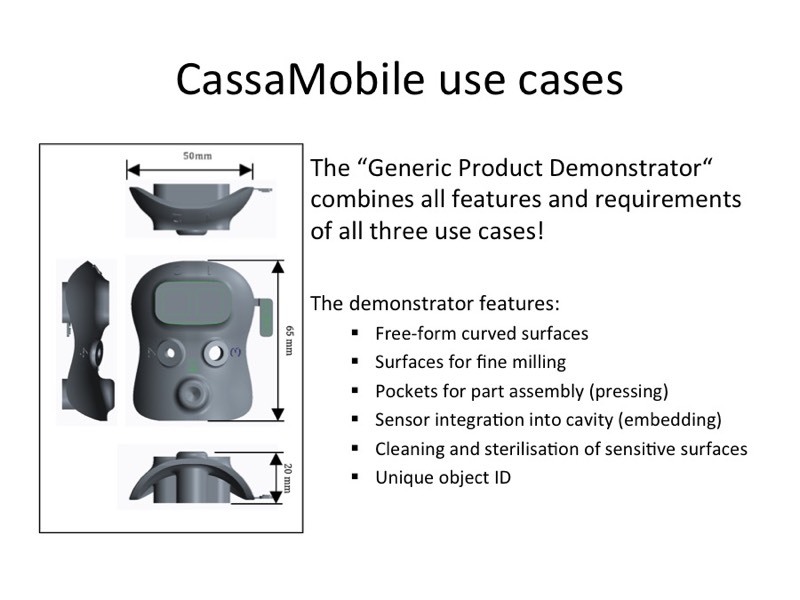 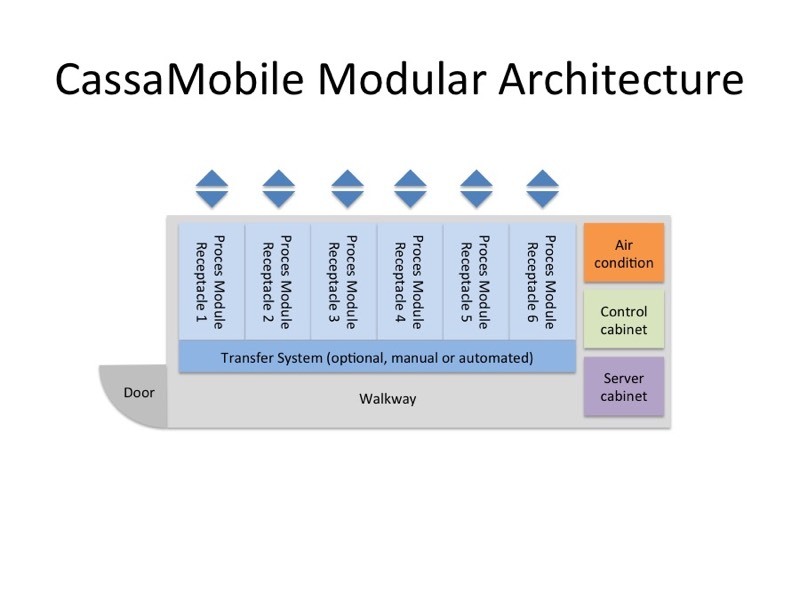 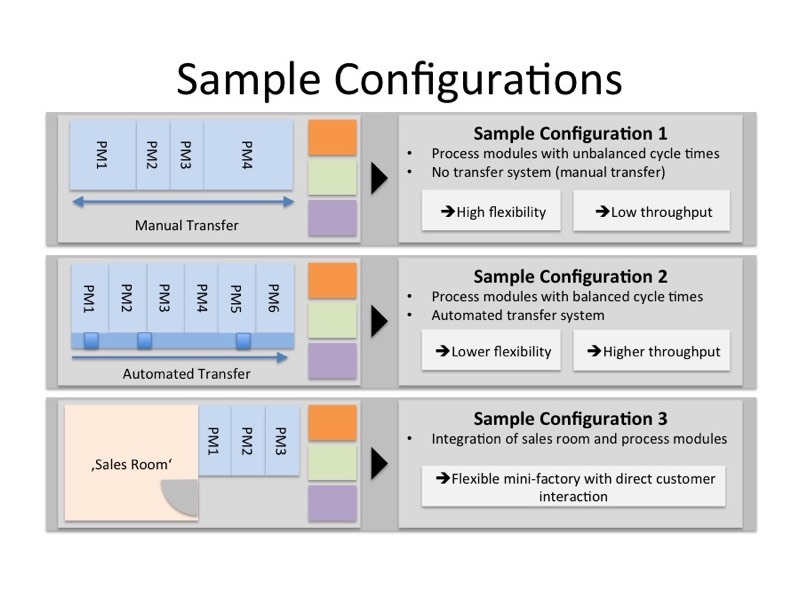 The CassaMobile concept is supported by an easy-to-use human-machine-interface and software for the direct manufacturing of custom designed products making the system cost-effective for end-users, operators and engineers. 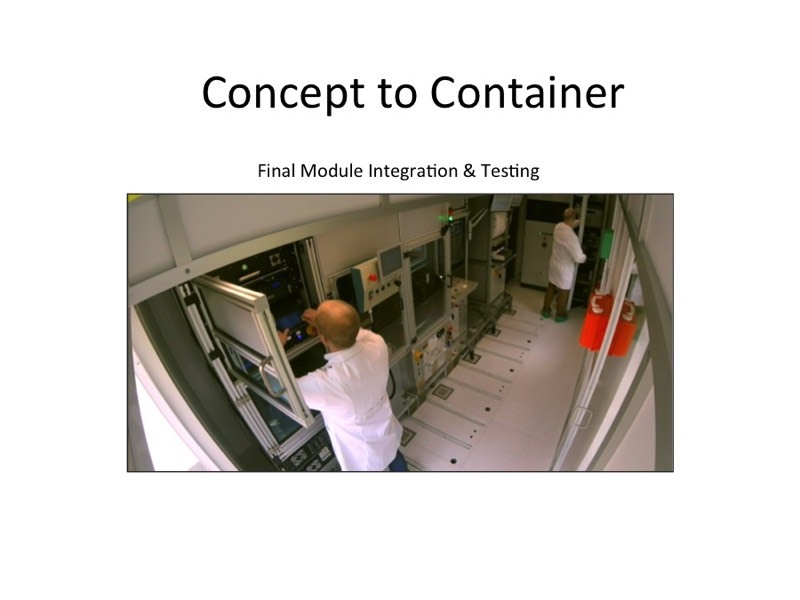 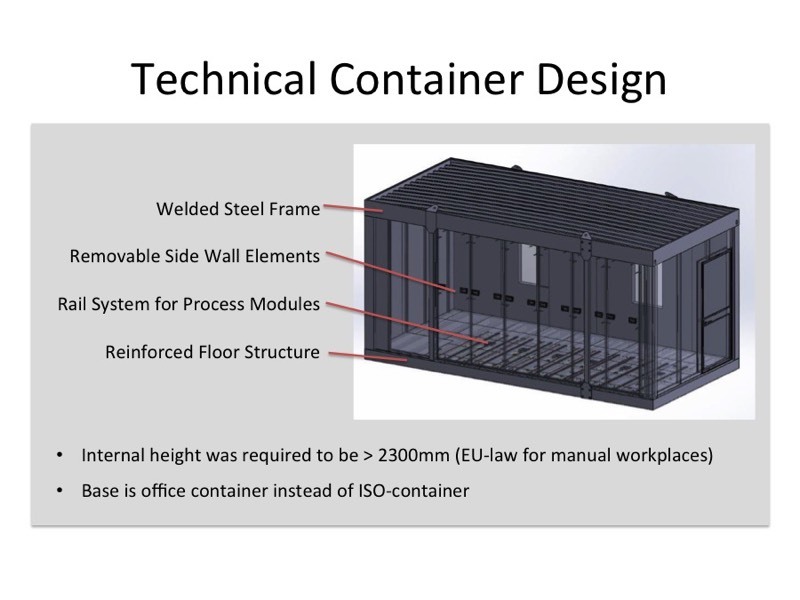 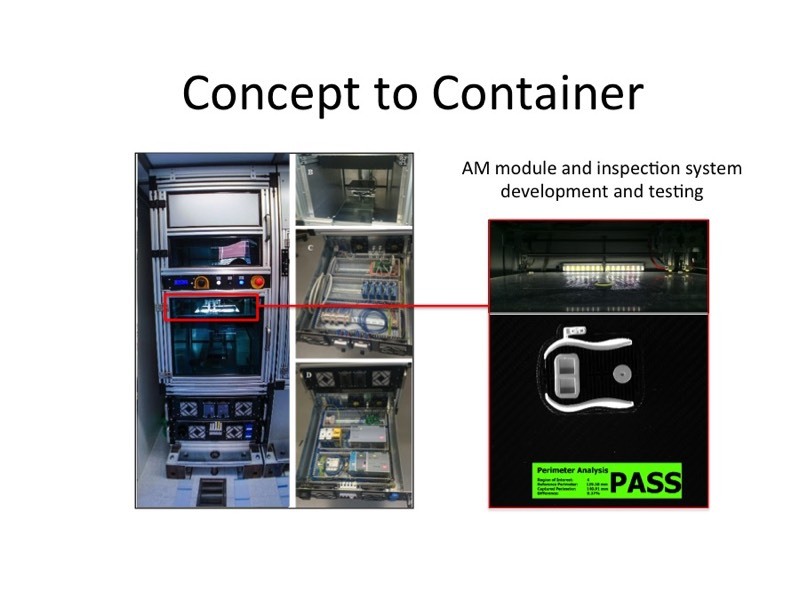 All of these components are designed to be embedded within a 20’ ISO-container which can be easily transported and deployed wherever required. 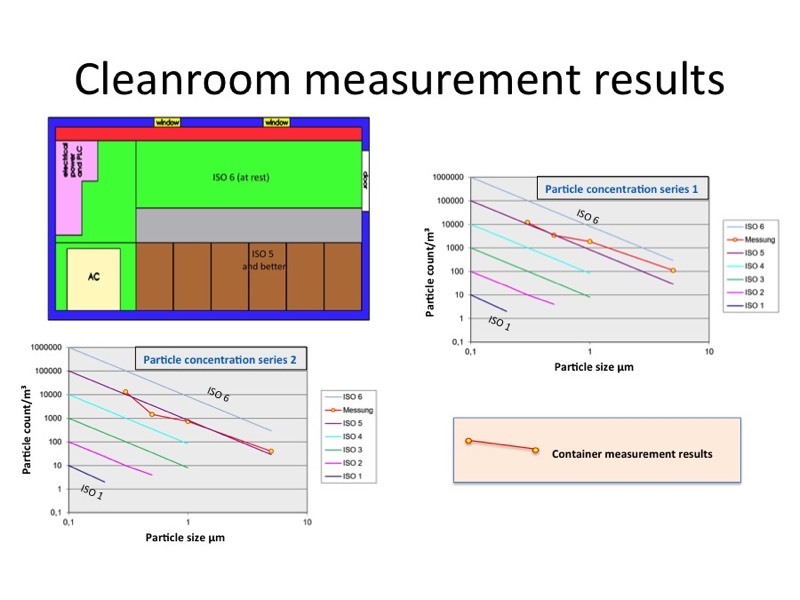 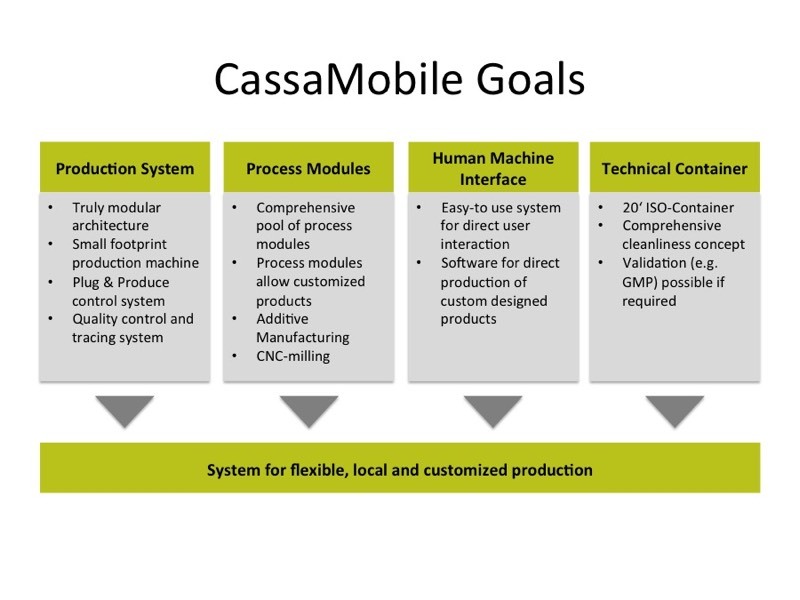 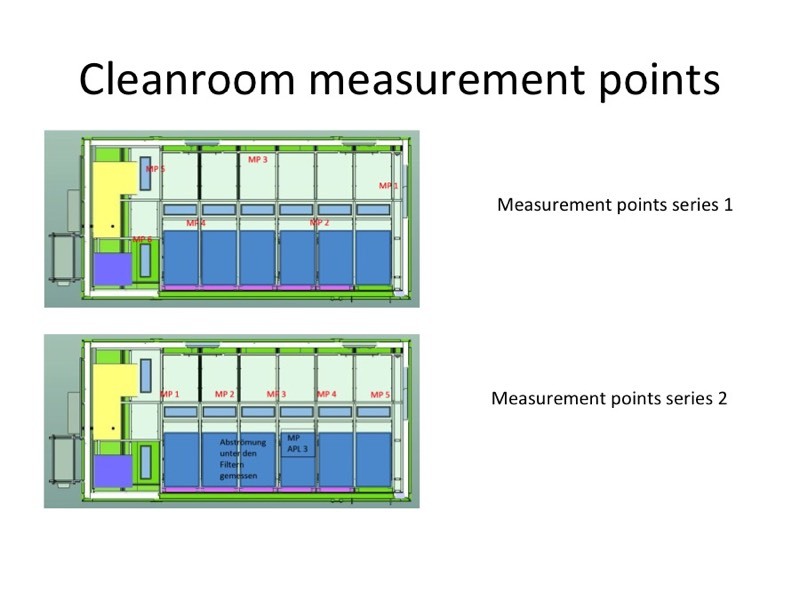 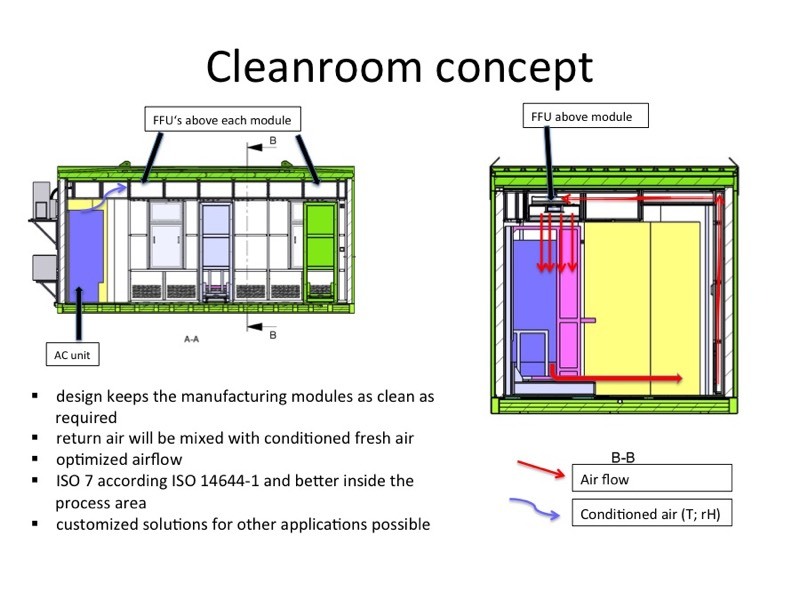 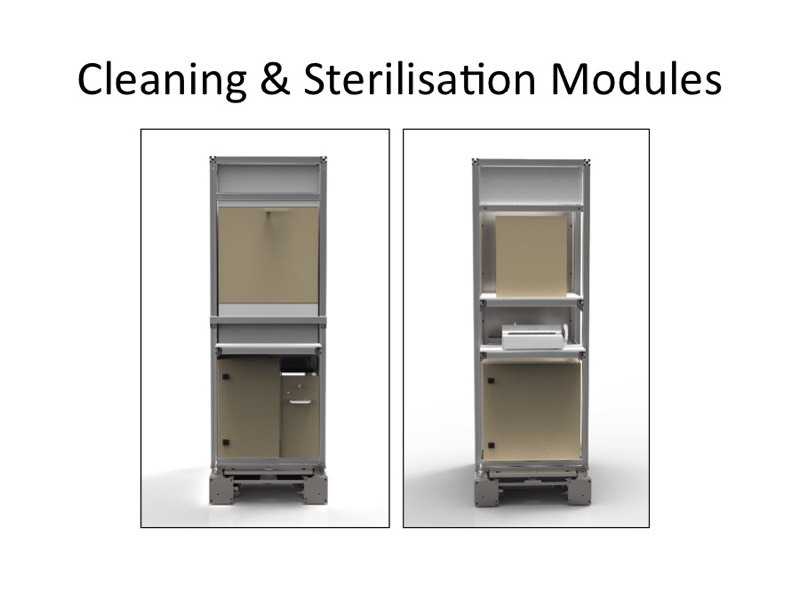 A comprehensive cleanliness concept allows the CassaMobile system to adapt to differing process environment requirements. 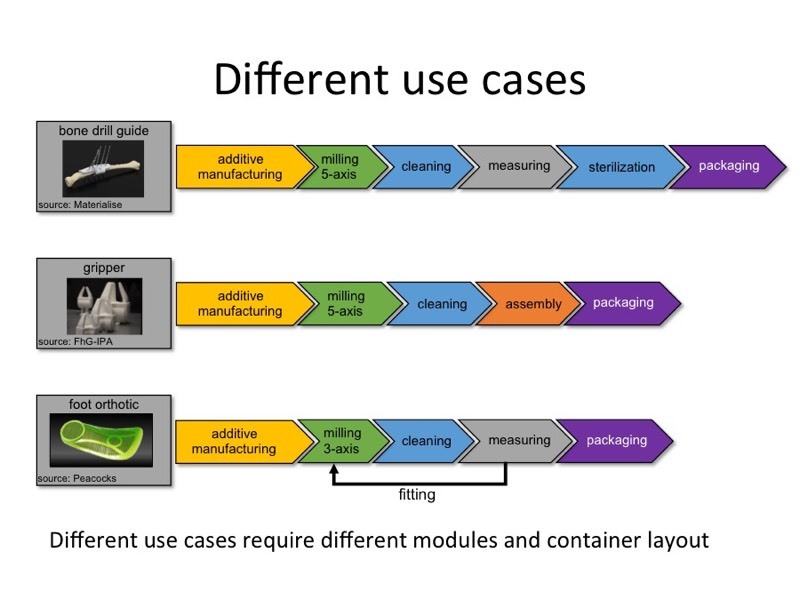 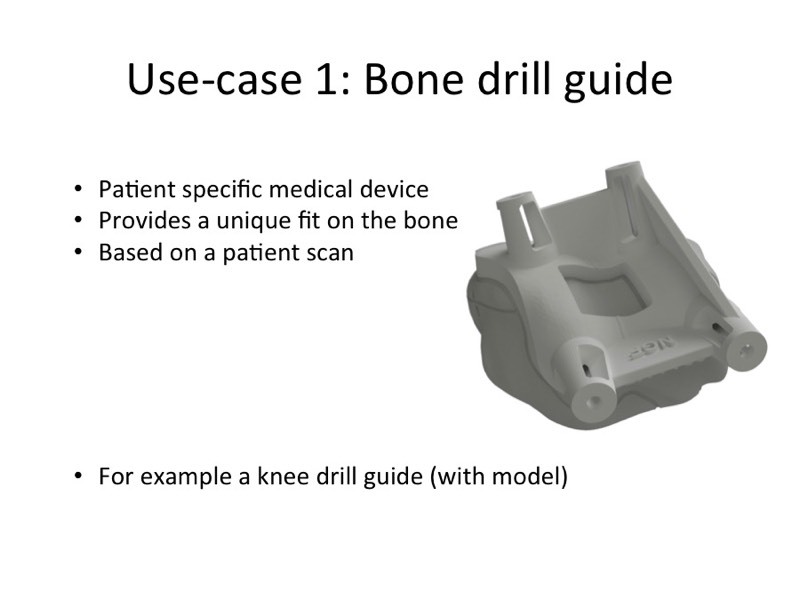 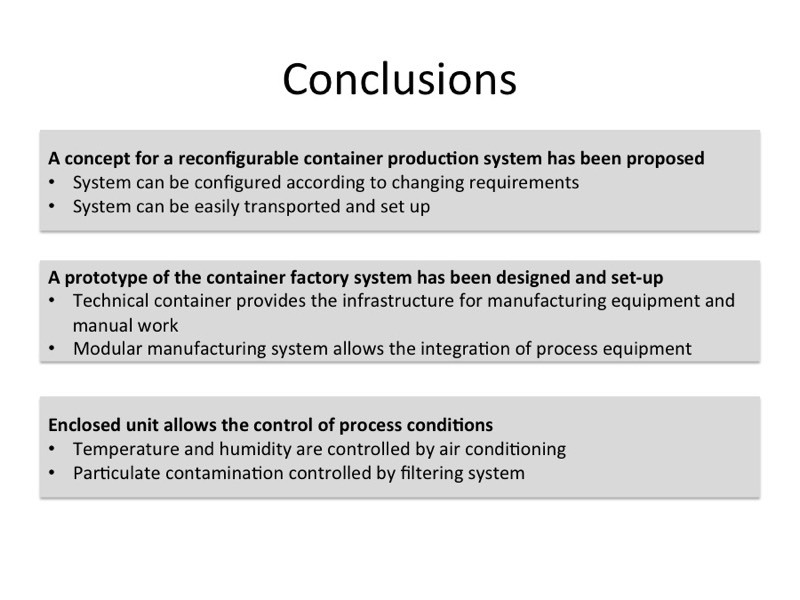 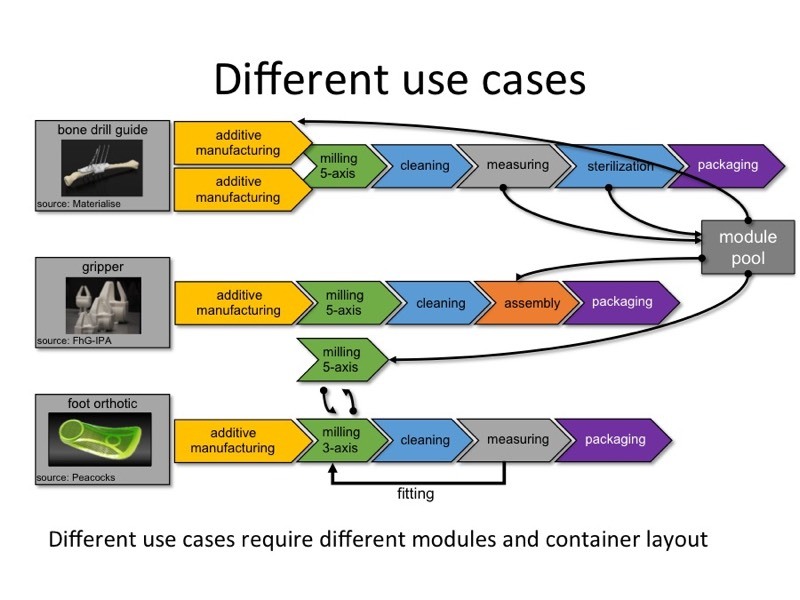 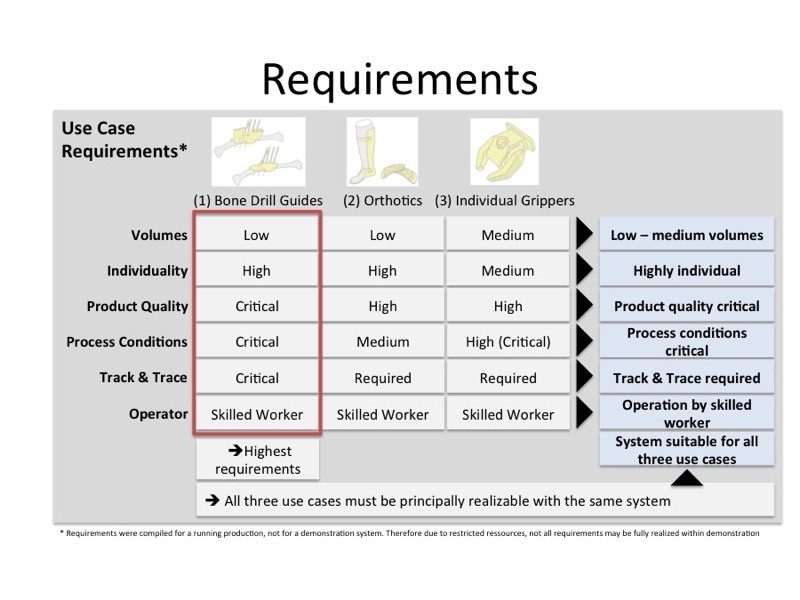 If the product requires a validated production process (for medical devices for example), this can be realised within the enclosed unit – thus enabling the possibility of a local validated production system.